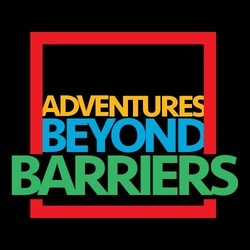 Adventures beyond Barriers Foundation (ABBF) is a not-for-profit organisation that promotes adventure sports for persons with Disability. The underlying philosophy is that “You can discover more about a person in an hour of play than in a year of conversation.” The foundation aims to engage able bodied individuals together with Persons with Disabilities, in adventure sports and allied activities in a safe and sustainable way and to bring them both together; in a journey such that they help and learn from each other. ABBF hopes to achieve this by creating appropriate conditions to establish interpersonal contact, and by enabling communication with one another, with a view to understand and appreciate different points of views involving each other’s ways of life. As a result of this new appreciation and understanding, issues of stereotyping, prejudice, and discrimination between the groups should reduce and lead to long term social transformation. This will also help get persons with disability more visibility, which helps create awareness towards inclusion and accessibility. So far, ABBF has conducted marathons & running events, paragliding, scuba diving, tandem cycling and mountaineering & trekking.